Category: Necklaces. 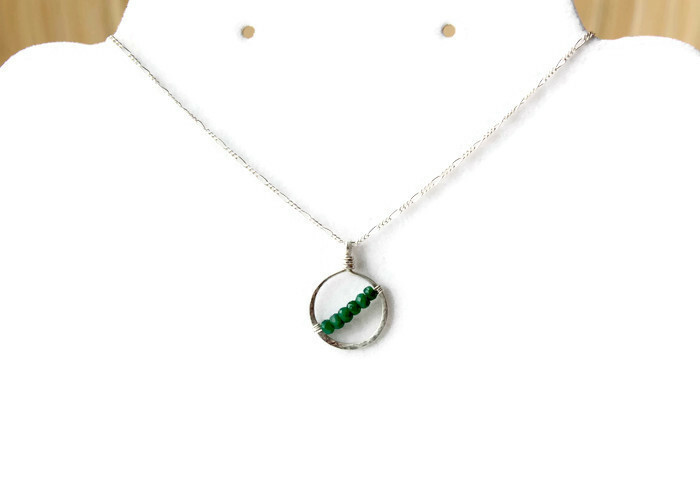 Tags: as seen on TV, Birthday gift, birthstone jewelry, Canada jewelry, designers jewelry, emerald necklace, EverywhereUR jewelry, fast shipping, gemstone jewelry, genuine emerald, gift packaging, graduation gift, green emerald necklace, handmade jwelry, handmade necklace, jewelry designer, jewelry online, jewelry store, jewelry trends 2015, made in canada, May birthstone, minimalist style, one of a kind, prom 2015, silver charm necklace, silver necklace with Emerald, sterling silver necklace, the artisan group, Toronto Canada, TV jewelry. 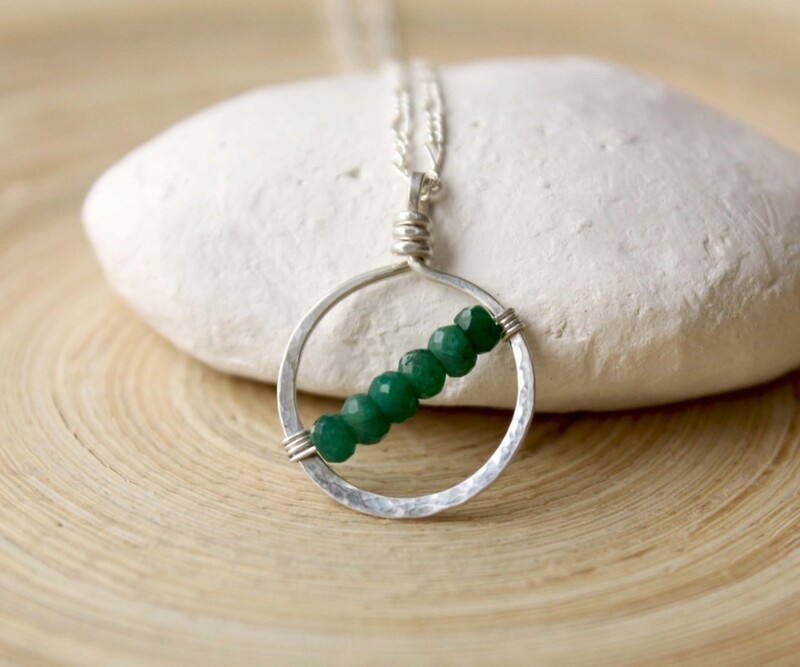 © May Birthstone necklace in sterling silver. 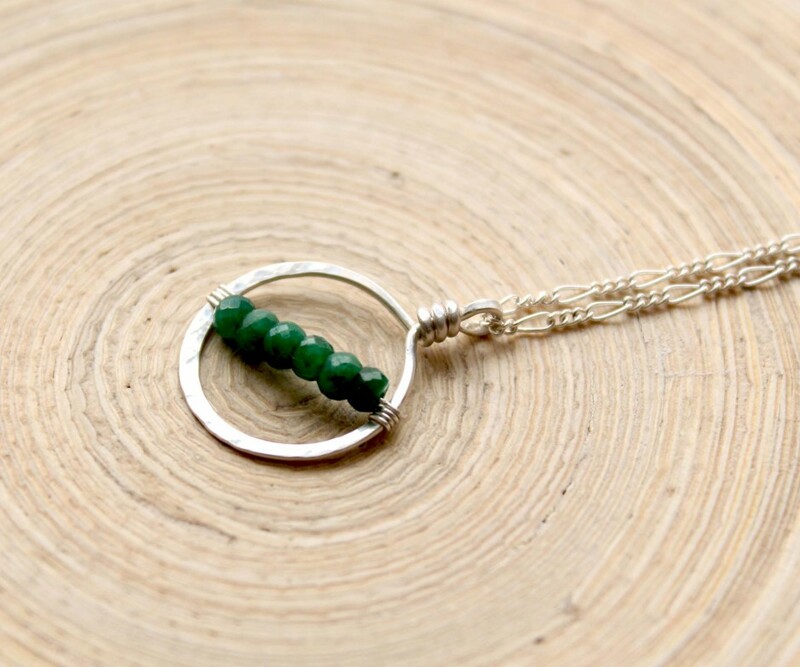 Emerald silver charm necklace. Prom necklace. Graduation gift. The green of the Emerald is the color of life and of the springtime. Necklace is handmade of silver filled and sterling silver wire. 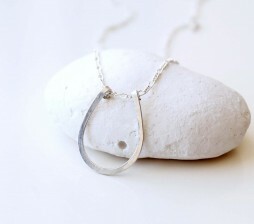 The pendant is approximately 18 mm diameter, hand-forged from silver filled hammered wire. 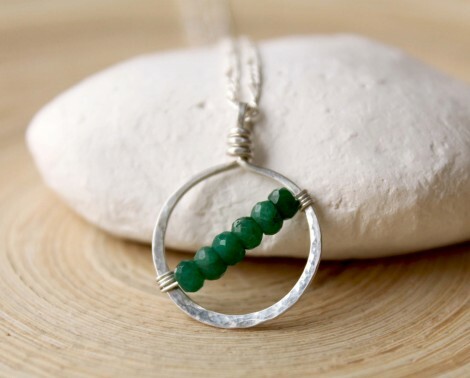 Natural emerald beads decorate the silver circle in diagonal. 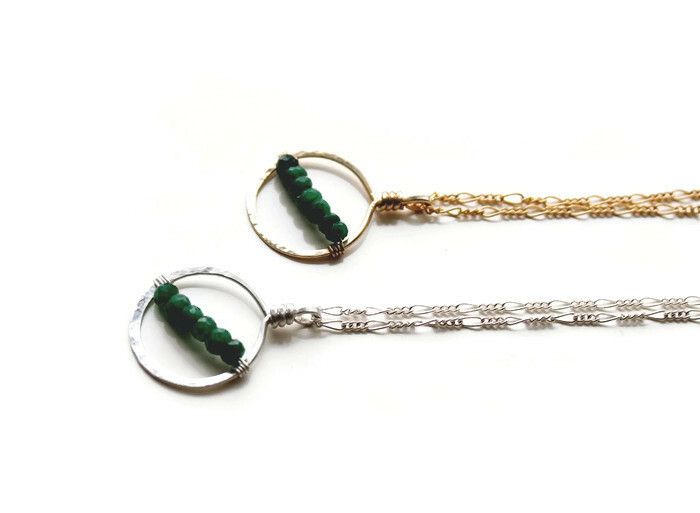 Emerald beads are 4 mm, faceted, round. The chain is sterling silver chain with an extension. The length of the necklace is 18″. 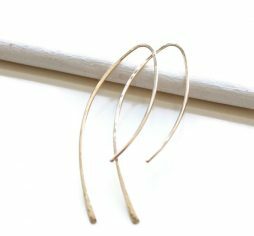 Different length available by request – just add a note with your purchase. Emerald is the May Birthstone. Emeralds are fascinating gemstones. They have the most beautiful, most intense and most radiant green that can possibly be imagined. 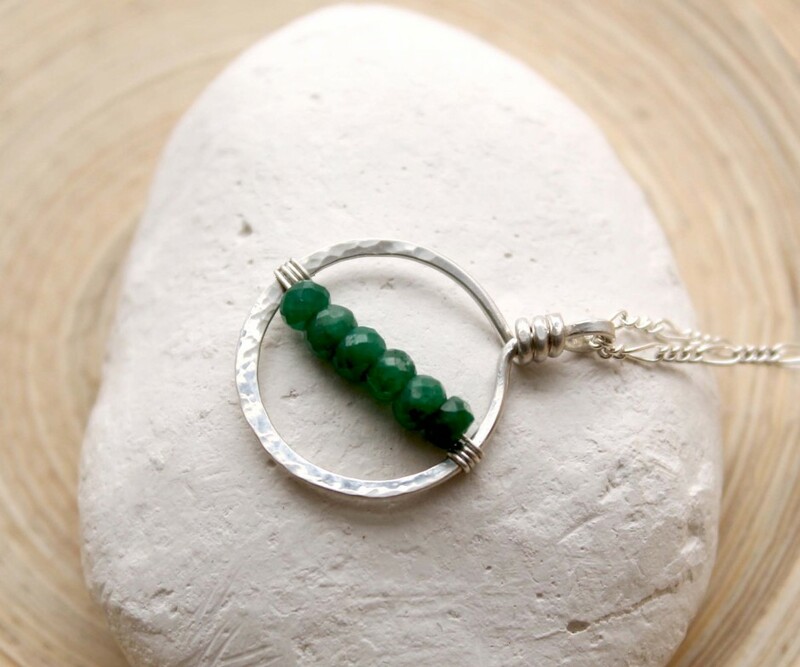 Emerald has been regarded as a holy gemstone by Incas and Aztecs of South America. Written many centuries ago, the Vedas, the holy scriptures of the Indians, say of the precious green gems:”Emeralds promise good luck and enhance the well-being”. The emerald is the sacred stone of the goddess Venus. It was thought to preserve love. The emerald has long been the symbol of hope. It is considered by many to be the stone of prophecy. 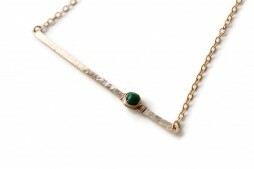 The emerald is said to bring the wearer reason and wisdom. The strongest time for the powers of the emerald is said to be spring. Emerald is used by healers to help heal the heart and eyes. The power of the Emerald is highest at the full moon. Emerald is a stone of great harmony, wisdom and love. It can build a “bridge” between two people.